Last November we shared some tips for keeping a gratitude journal, and we hope you’ve had the opportunity to write in one regularly. Sometimes, though, it can be difficult to even come up with things to be thankful for, so we are sharing a few ideas of things we can be grateful for as we head toward Thanksgiving. 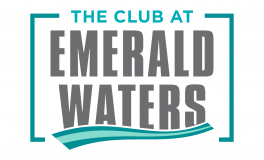 Before we share our tips, we just want you to know that we, here at The Club at Emerald Waters in Hollywood, FL, are grateful for all of the amazing members of our apartment community! The gift of life is huge, but it is something that can be so easily taken for granted. Be glad you woke up this morning and that you have the opportunity to live on this incredible and beautiful planet. Don’t go through life and forget to live. One inescapable part of being human is the fact that we are flawed. We mess up and make mistakes, but we have the opportunity to learn important lessons from those mistakes! Strive to be thankful for the learning opportunities brought by mistakes, instead of getting down on yourself for messing up. If you are reading this, take a moment to be thankful that you can read! Being able to read is such a benefit and blessing that we don’t often think much about. Some people never learn how to read and therefore miss out on so many learning opportunities for growth and personal development. As you sit down to your Thanksgiving feast, take a second to feel gratitude for that fact that you have food to eat. Some people don’t have any food to eat, so be thankful that you do. Being able to afford food and not going hungry may not seem like big blessings to you, but that is actually a huge blessing that you might not even think about. Shelter is one of our basic needs, but some people don’t even have a place to call home or a roof over their heads. Be thankful for your apartment and that you have a place you can call home. What are you thankful for? Take some time this month to reflect on all the many things in your life you have to be grateful for. We hope you enjoyed this post and have a wonderful Thanksgiving and happy holidays in Hollywood, FL or wherever you may be celebrating the holidays this year.